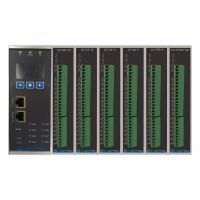 The new generation of programmable controllers, based on Ethernet and fieldbus open architecture, stand-alone and dual redundant, user programs can be encrypted or compiled to provide users with unprecedented reliability and security. Open architecture which can seamlessly connect a variety of standard IO, all kinds of smart devices, smart meters and smart panels, constitute an intelligent control system. It has faster operating speed (400M), greater memory capacity (256M), more storage space (256M Flash + CF) and its own efficient real-time operating system to meet the real-time protocol conversion performance requirements. Its 128-bit dynamic key encryption and connection technology and proprietary real-time operating system can reliably prevent unauthorized personnel, hackers, and viruses’ intrusion. Its integrated online user program debugging, monitoring and analysis, detailed working status data make it is easy to do system debugging and remote centralized maintenance. Integrated Web, Web management and process data display. Multi-application: can become RTU, can be used as PLC, can be used as data gateway, can be used as security interface gateway, can be used as special equipment intelligent controller, can be used as loT controller, can be used as building controller, can be used as fire controller. . . And so on. 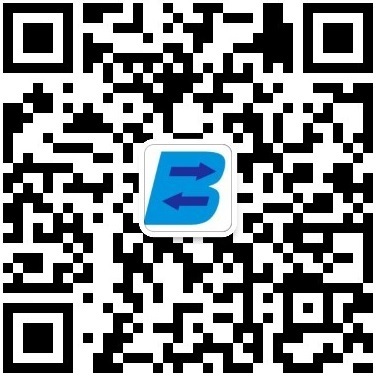 It is a common industry programmable platform. 2. Support external hardware redundancy structure application layout, and stand-alone operation. 5. Up to 20000 words support full-featured protocol and user-defined database with Word and bit indexes. 6. 20KA interface lightning circuit design. 7. Full graphics offline / online integrated application development environment software ICC Studio, meet the rapid application configuration. 8. Support agreement: IEC104, DNP3.0, Modbus, Ethernet / IP, IEC101, HART, Profibus DP, CAN, BACnet. 9. Up to 8 serial ports, 8 HART, 4 Profibus-DP, 4 CAN. 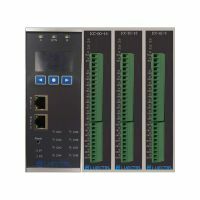 Unique RS485 redundant loop, dual Ethernet, remote IO module supporting standard protocols. Each communication port independent thread work to meet the functional requirements of high-speed data transmission or data acquisition. 10. IO: standard CAN bus IO, 16DI / DO, 8AI / RTD / TC, 8AO. 11. Support more NTP time synchronization service. 12. 1S system startup, 4 system backup, industrial wide temperature device and reliability design. 13. Panel LCD display and remote Web services. 14. -40 ~ +80 ℃ wide temperature environment, fanless design, standard DIN rail mounting, meeting the harsh environment of the application. 15. A variety of bus interface module and port can be combined, its optional 2G, 3G, LTE modules and software customization services can meet different application needs. 16. Can achieve the production data release and enterprise cloud process data and device status information security collection.